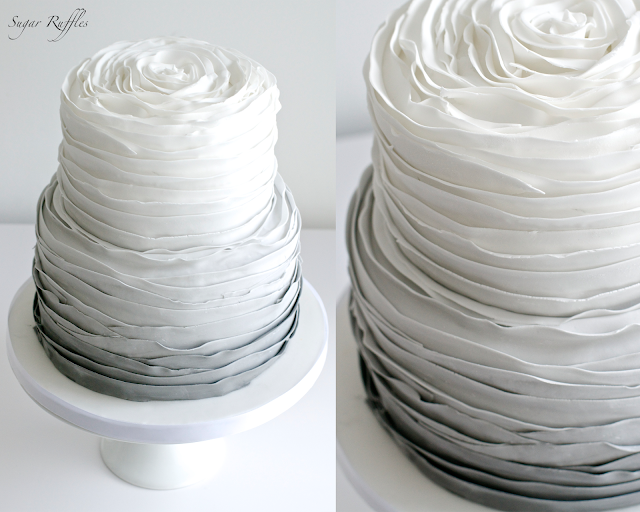 Charlotte, do you have a release date on the tutorial for the grey ombré wedding cake? Also did you use fondant or is it just buttercream for the ruffled look? Thank you. Hi, it is fondant that is used to create this look. Sorry for the delay, new tutorials including this one should be available in January. Charlotte, I seen the tutorials posted for January and I purchased one but I didn't see the grey ombre' wedding cake one. Is it not out yet or am I looking in the wrong place for it. Thank you so much looking forward to the tutorial. Thanks so much Charlotte, I can't wait to purchase it.